We’ll finally know what those new iPhones are called on September 12, according to CNET. The invitation CNET received doesn’t specify what products will be announced or when said products would ship. 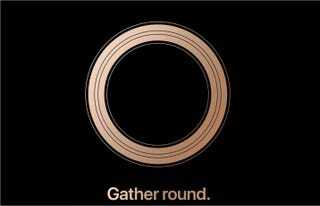 Instead, it asks invitees to “gather round”—a joke about the impressively circular Steve Jobs Theater that the event will be held at. The theater is on the Apple campus in Cupertino, which is closed to the public, so if you want more details you’ll clearly need to follow Gizmodo’s liveblog on September 12. As for what will be announced, we expect at least three new phones. There are also rumors of new Apple Watches and a new iPad Pro with Face ID. Whether those rumors will bear out will be determined two Wednesdays from now. There’s nothing like a meaty JRPG to rekindle a lifelong love of gaming. 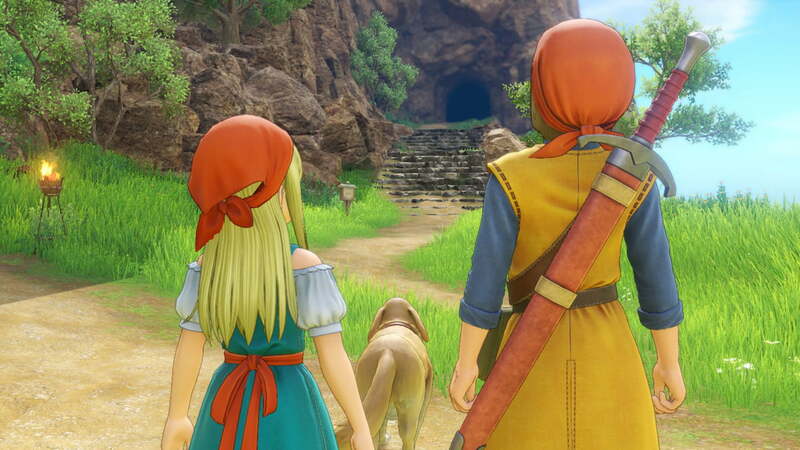 While some may flock to blockbuster mainstays like Final Fantasy, others prefer the rustic charms of the equally great, yet less bombastic, Dragon Quest franchise. It’s been six years since the MMORPG vision the series, Dragon Quest X, debuted in Japan (where it has remained). That means North American fans have waited eight years since Dragon Quest IX: Sentinels of the Starry Skies made its way to Nintendo DS. Any way you slice it, it’s been awhile since die-hards could enjoy their fill of the classic turn-based role-playing and fantasy storytelling the series has excelled at. 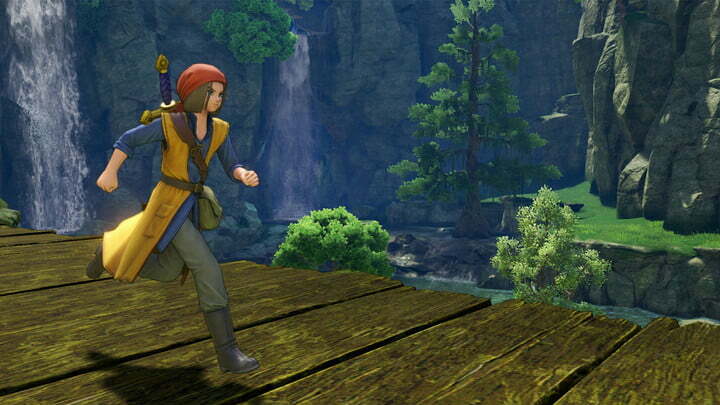 Dragon Quest XI is a dazzling return to form for JRPG enthusiasts new and old. It serves up a piping-hot fantasy adventure rife with memorable characters, an engaging narrative, and plenty of ground to cover in the name of the all-important “quest to save the world.” It’s a fantastic way to introduce newcomers to the long-running role-playing series. Dragon Quest XI’s story won’t surprise you. From its opening moments, it’s like a warm embrace, wrapping you in the arms of the classic “young adventurer” trope. The silent protagonist, yours to mold as you see fit, uncovers a brilliant new destiny ahead of him as the “chosen one” or, as the game calls it, the Luminary. Your character is the reincarnation of a legendary hero who once saved the world from catastrophe. Sound great, right? But not everyone in your hero’s hometown, Cobblestone, is enamored with the Luminary. Some of started to think that instead of bringing peace to the land, the Luminary is a harbinger of darkness. That becomes the launchpad for a sprawling tale of wizards, dragons, royalty, other colorful characters. Though the story isn’t original, it also doesn’t wallow in trope-like simplicity. You will occasionally stumble into moments that’ll hit you like a ton of bricks, which appear when you’re least expecting them. That drama is balanced nicely by other, lighthearted interactions that’ll have you rolling on the floor laughing. These highs and lows are a hallmark of Dragon Quest in general, and they’re in full force here. The story likely wouldn’t hold your interest on its own, but it’s helped along by a fun cast of characters, from the hilarious Sylvando to the snarky Veronica. These also aren’t surprising, but they’re well written and usually don’t overstay their welcome. Unfortunately, not all the character lines are voiced. Some will speak during important scenes but fall back to text-only conversations punctuated by a snippet of audio that doesn’t match the words being spoken. This isn’t unusual in sprawling role-playing games – Octopath Traveler does the same – but the game’s otherwise excellent presentation makes silent moments all the more jarring. Let’s make one thing clear. You’re going to have to grind. At first glance, this game may seem like a new and improved version of the same turn-based affairs seen in games like Final Fantasy or other tiles of that ilk. The space the battlefield occupies is yours, and you have free roam of the area, if you choose. You can also fight from a stationary position if you choose. The enhanced combat will lead you to think it’ll follow other modern trends and eliminate the need to fight battles for the sole purpose of leveling characters, but that’s not the case. The combat is enjoyable, but you’ll be dealing with it a lot, because you will encounter bosses you simply can’t beat until you’ve gained a few levels. Combat can be handled under your full control, or you can let computer-controlled companions choose which actions to perform from a list of tactics. These actions, much like the systems seen in games like Final Fantasy XII and XIII, allow you to select the appropriate set of combat decisions for each character to make. For instance, you can issue commands manually, or set parameters so that characters typically heal party members or focus on dealing damage. There’s a respectable list of characters, each with a role to fill, but if you find that one party member isn’t jiving with the rest you can swap them out in the heat of battle with a simple button press. That makes situations that could feel like a slog less frustrating and save you from irritating battles. Battles are important, but you’ll need to spend an equal amount of time ensuring each character grows in useful ways. Each receives a set of abilities that can be leveled up in a grid, with a different design for each character. Some skills are obscured behind those before them, while others are available to unlock as you earn additional ability points. The deep customization available in these trees will certainly appeal to gamers who love to min-max characters or dig deep into party builds. That’s not all you can tweak. You’ll need to outfit character with gear. While you can rely on purchased or dropped gear, you can also make gear with an intricate crafting system and forge that lets you create your own types of gear utilizing recipes found throughout the world. The forge lets you cast and recast items, even combining old items with new materials to improve upon a previous iteration. Few RPGs bother to include such intricate crafting, and it’s yet another element that’ll appeal to gamers who love to customize characters. 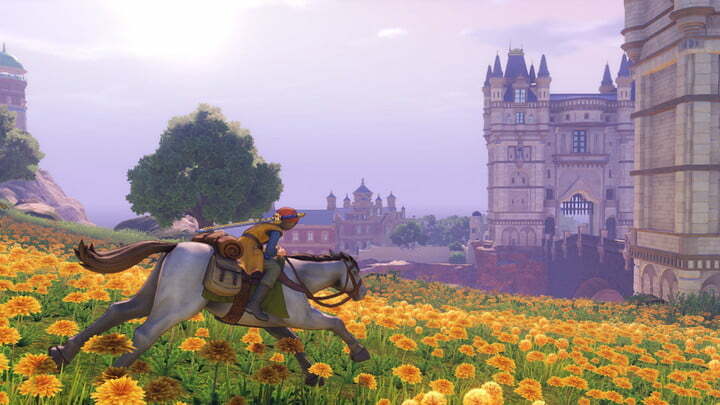 You’ll never lack things to do in Dragon Quest XI. There’re side quests, optional undertakings, and even a New Game+ offering “Draconian Mode,” setting up dozens more hours of playtime beyond the first few required for what could be considered a “complete” run through the main story. There’s always something new to discover, a character to get to know better, and plenty of items to collect along the way, while unraveling the threads of intrigue set up from the very beginning of the game. The gorgeous artwork, from Akira Toriyama of Dragon Ball fame, is a contender for the best of the series. It’s like watching an anime series come to life, with familiar designs that look as though they could have been torn from the pages of Toriyama’s Dragon Ball-meets-fantasy sketchbook. The score is also appropriately bright and lighthearted, somber when necessary, and jaunty in the ways you’d expect a massive role-playing adventure to be. 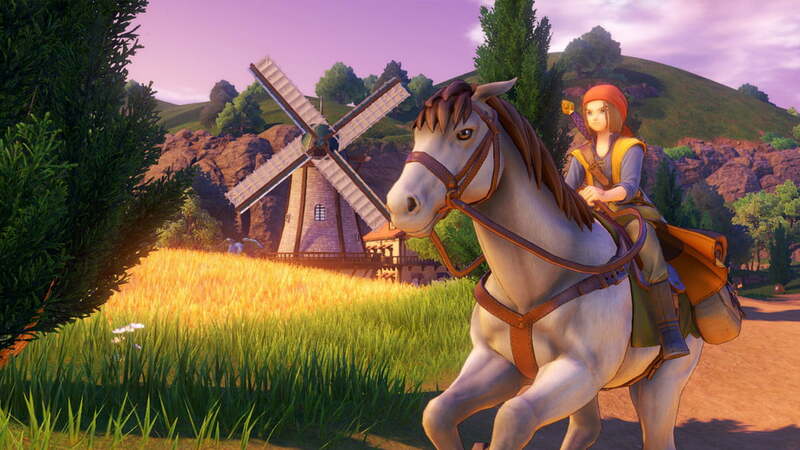 Dragon Quest XI is the first full-fledged RPG in the series in some time, and it delivers in nearly every respect. It relies on classic role-playing tropes, a full-fledged combat grind, and gorgeous visuals and aural delights to craft a believable, magical world with plenty of content. There are several expansive role-playing games out on the market, the most notable being Ni no Kuni II and Octopath Traveler. Those are both solid games, but Dragon Quest XI is a tough rival for both. 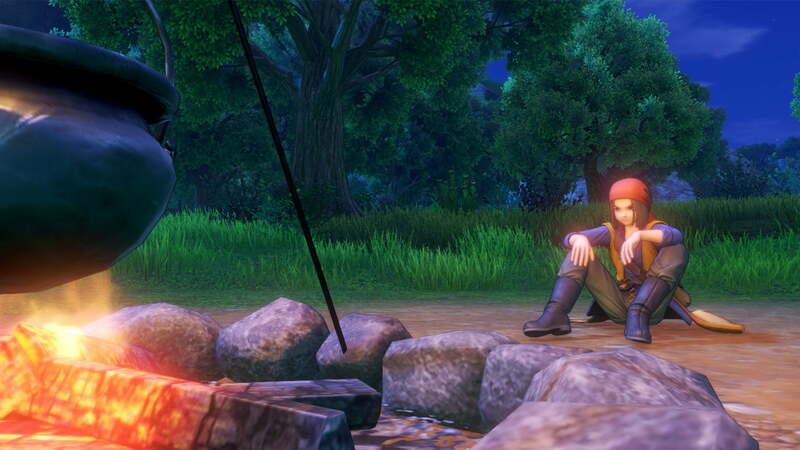 You might not like Dragon Quest XI as much if you despise grinding, but you’ll love it if you want deep character customization. 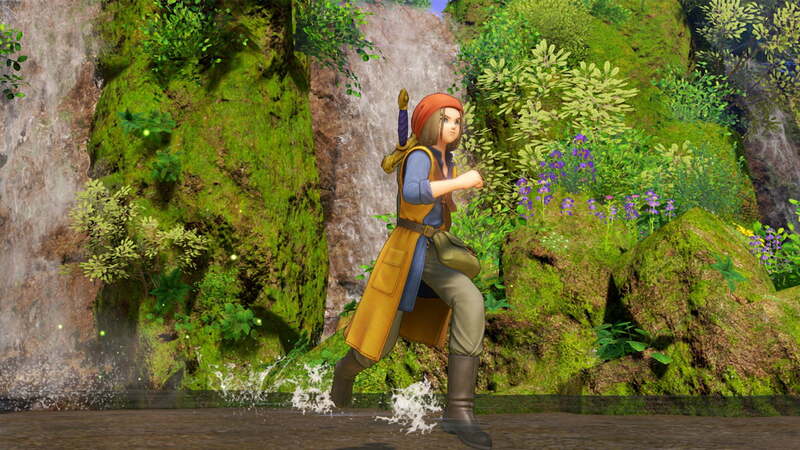 The main story will take 70-80 hours to play to completion, though you could easily sink over 100 hours into the game by completing all side missions, collecting all items, and seeing everything there is to see. Yes. Dragon Quest XI is a hallmark of excellence for the genre, and while some may be put off by its adherence to classic tropes, it features a modern twist on combat, narrative elements, and character customization. It’s a hefty slice of throwback goodness without too much of the baggage that can come with old-school games. 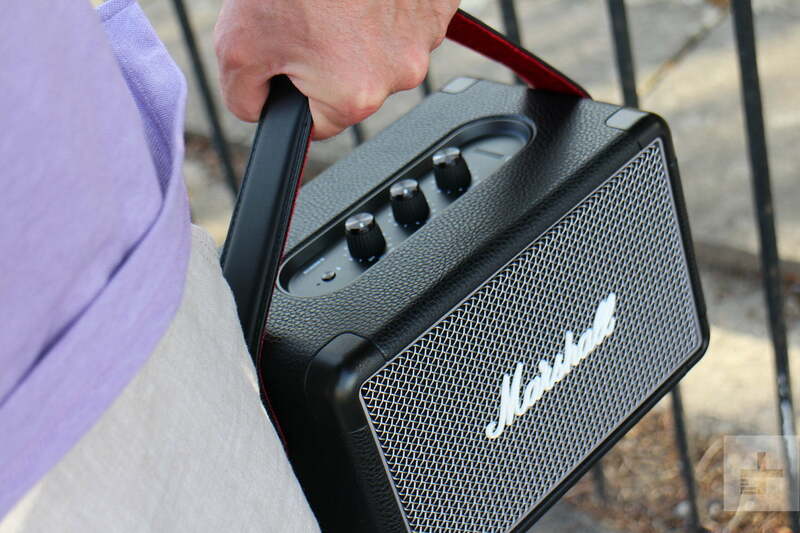 The Marshall Kilburn II Bluetooth speaker is sitting on the desk right now, playing a song I know really well, and I’m tempted to turn up the volume. Trouble is, there are other people in the house who may not appreciate a sudden blast of Nogizaka46; because the Kilburn II gets loud. Really loud. 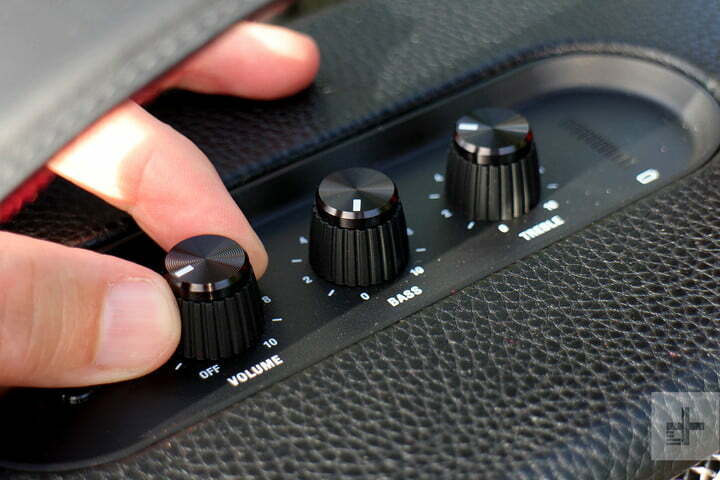 Alongside the volume knob are two others, which independently control the bass and the treble. It’s wonderfully old-school, and the entire setup instantly makes you think of Marshall’s famous amps. The design of the Kilburn II does exactly the same. 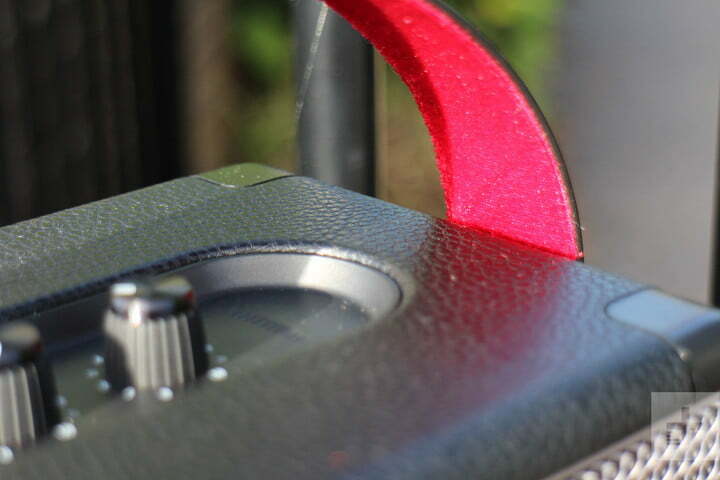 It’s a rectangular box covered in a soft-touch material that from a distance looks a bit like leather, while the front has a steel-colored grill with the iconic Marshall logo in the center. It’s less showy than the first Kilburn speaker, losing the brass plate on the top, the flick switch for the power, and the separate lamps and buttons for Bluetooth pairing. We like the Marshall Kilburn II. It’s got musical guts, a surprisingly sweet and balanced sound that you wouldn’t expect from the styling, and the image given by the tattooed folk that regularly promote the brand’s products in ads. If there’s a problem, it’s the price. It’s a serious $300, or 270 British pounds. 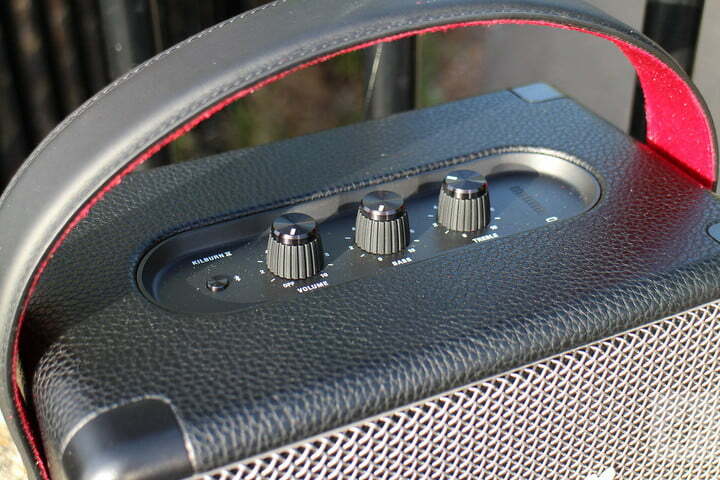 That’s $100 more than the Ultimate Ears Megaboom, our outdoor Bluetooth speaker pick, and almost twice the price of the Riva Turbo X, which tops ourbest Bluetooth speaker list. It’s also a little more expensive than the original Kilburn speaker. Few smartphone lenses cross boundaries between devices and operating systems without upgrading the case or mount — but Olloclip’s latest accessories are designed to adapt the mobile lenses to nearly any device. On Thursday, August 30, Olloclip announced the Multi-Device Clip, an accessory that allows the company’s new Connect X lenses to work with most smartphones. 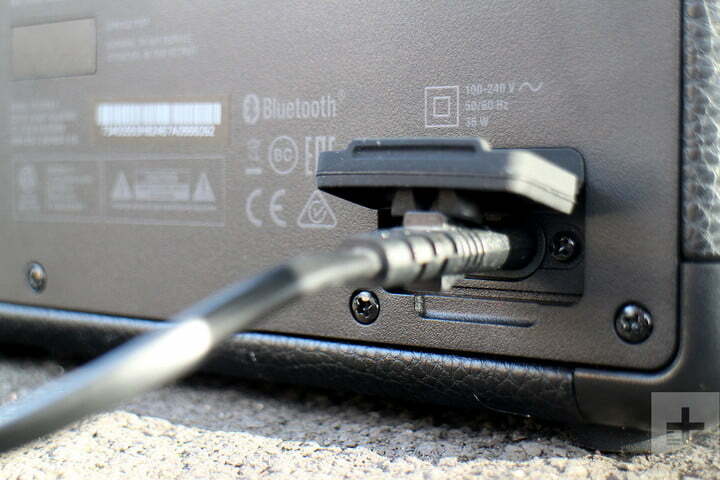 The company also says the new clip works with “many other devices” — which could mean compatibility with some tablets. 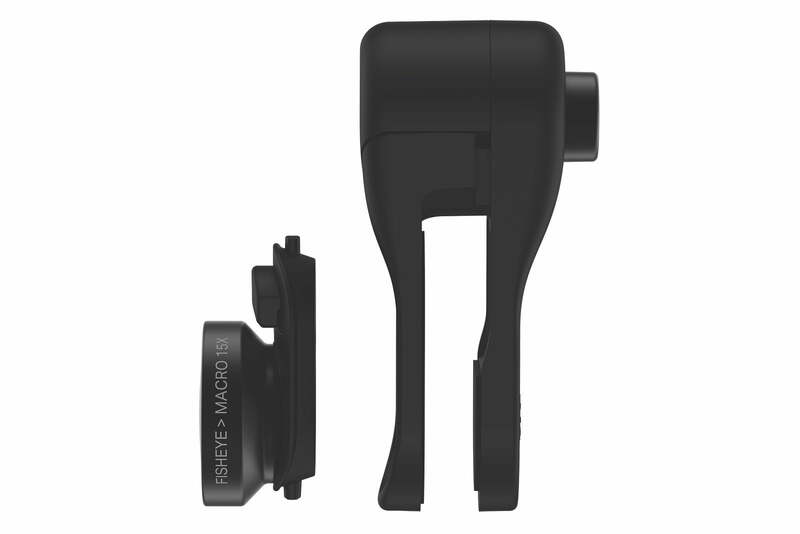 The Multi-Device Clip uses a clip design (after all, it is in the Olloclip name) but adapts the design with an expanding clip. 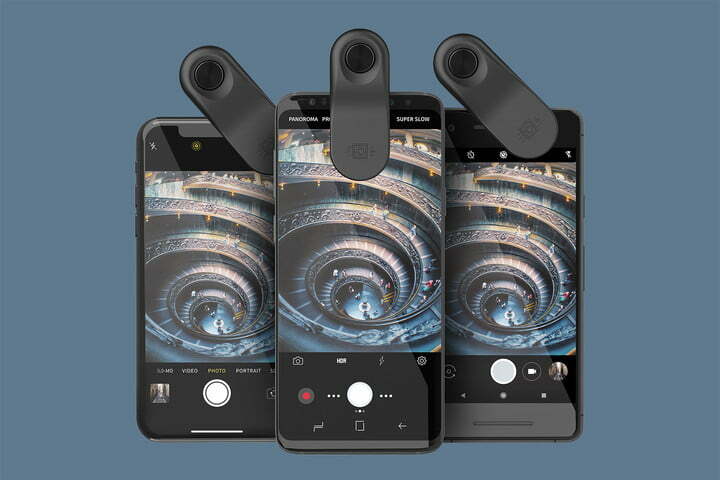 The company says the clip adapts for a proper alignment between the lens and the device’s built-in camera, keeping the lens flush over the glass of the existing camera even with different sized smartphones. Along with working with most smartphones, Olloclip says the clip works with thin cases and screen protectors with a combined thickness of up to 12mm. 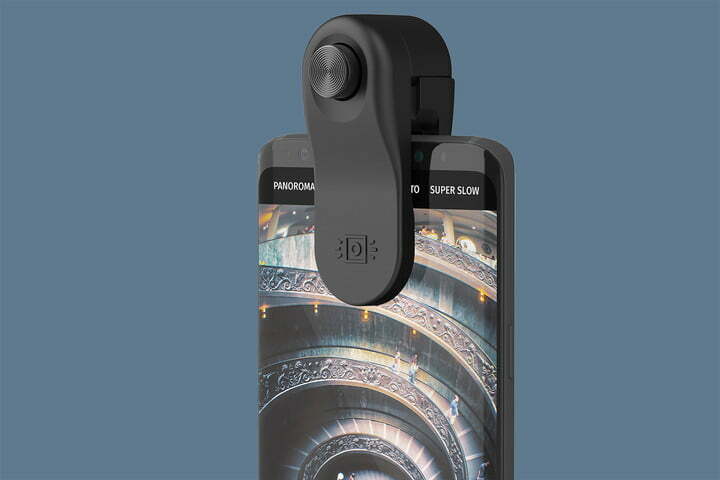 The new clip is compatible with all the Connect X lenses, Olloclips’ lenses that originally launched for the iPhone X. The lens family includes six options (some of them with multiple lenses in one) from super wide to a 21x macro lens. The compatible Connect X lenses include a Super-Wide 120-degree lens and an Ultra-Wide 155-degree lens with an action-camera-like view. A 2x telephoto lens is also part of the lens series, along with a fisheye-macro combo lens. Additional macro lenses in the series are available as a 7x and 14x combo lens and a microscopic 21x lens. 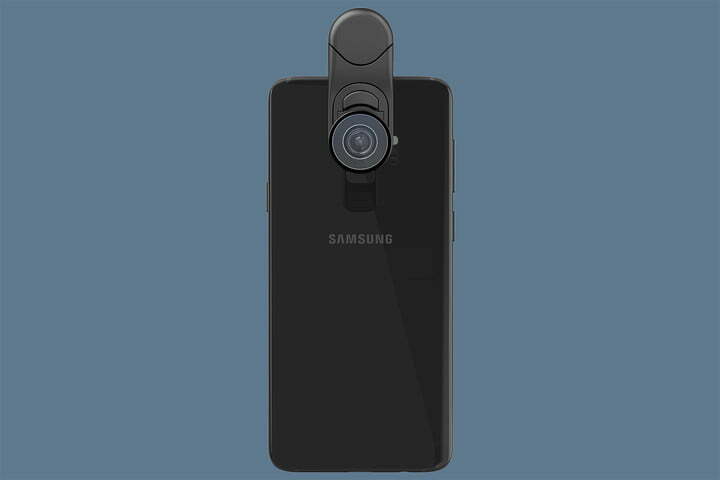 Because the clip isn’t designed for a specific device, users have to switch the orientation to move from the back to the front camera, unlike Olloclip’s existing clips that allow for using two lenses at once on the selfie camera and rear-facing camera. The multiple-device compatibility could help make the lenses accessible to less popular smartphone models, as well as opening up the possibility of using the same accessory through multiple smartphone updates. Olloclip says the clip fits most smartphones, but doesn’t specify which models may not work with the new clip. The new clip is slated for arrival in mid-September. The clip will sell with any Connect X lens for $60, with additional lenses available separately beginning at $45. Olloclip says it will also make the clip available without lenses for users that already own Connect X lenses. Battlefield V looks like it could be one of the best multiplayer shooters of 2018, but Electronic Arts and developer Dice don’t think the game is ready for prime time just yet. Initially scheduled to arrive in October, Battlefield V has been pushed back more than a month. Tides of War is a new, large-scale feature introduced in Battlefield V that helps to replace paid expansions — all post-launch maps will be free, so players won’t be separated based on who purchased extra content. Starting in November, players will participate in the “Fall of Europe” before moving to other famous sites from World War II. New gear and assignments will be released as well, to keep players engaged for months after launch. The new release date is November 20, but just because the full game’s release has been pushed doesn’t mean you’ll have to wait to try it out. On September 6, the open beta for Battlefield V kicks off, and you can gain access two days early be pre-ordering the game or signing up for the EA Access, Origin Access, or Origin Access Premier services. You can load up the beta in advance beginning on September 3. Two maps — “Rotterdam” and “Arctic Fjord” will be included in the beta. Both use the series’ staple Conquest mode, and you’ll also be able to try out the massive Grand Operations mode, previously seen in Battlefield 1. Lastly, the open beta will offer a taste of Tides of War in a special five-part event, and those who participate will get an exclusive dog tag in the final game. When Battlefield V launches November 20, it will be available on Xbox One, PlayStation 4, and PC. Honor’s presentation at IFA 2018 was primarily based around the high-powered gaming phone, the Honor Play. But right at the end of the event, Honor gave us a tantalizing glimpse at the sequel to the Honor Magic: The Honor Magic 2. We weren’t allowed to see much of the futuristic phone, which is in the late stages of development; but it still has us extremely excited. We’ll start with the bad news. 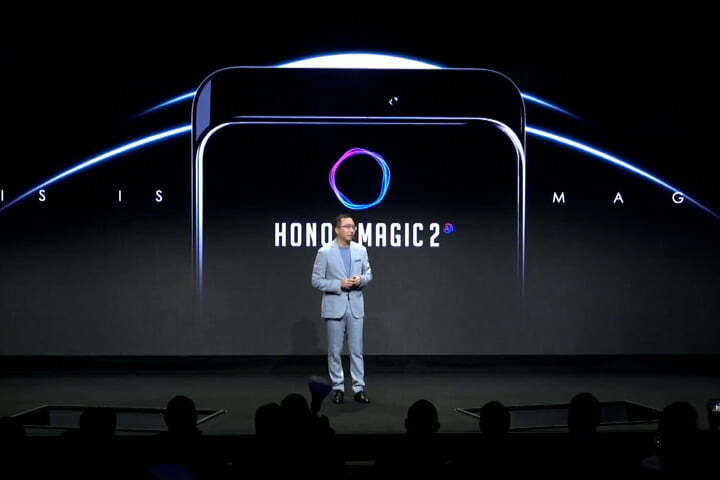 The Honor Magic 2 will only be released in China, just like the original Honor Magic. 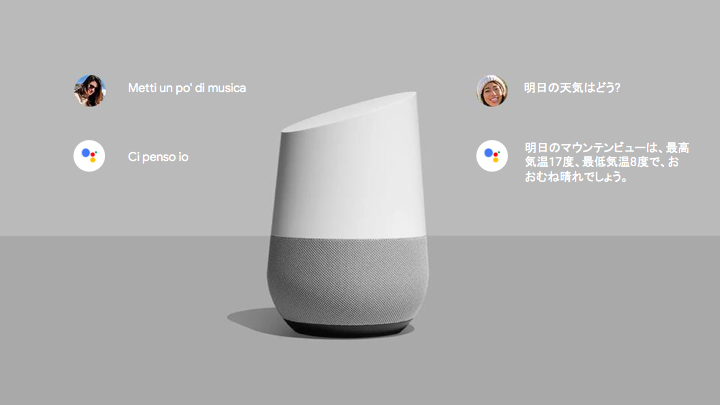 The reason is likely the same as the first phone, that it’s costly and time consuming to further localize the Magic’s in-depth artificial intelligence features, and forge new partnerships with apps and services outside China. The release date is unknown, but the original Magic was announced on December 16, 2016, which may give us a hint of when the sequel will arrive. The original Honor Magic was a design triumph at the time, and the Honor Magic 2 also promises to look spectacular. 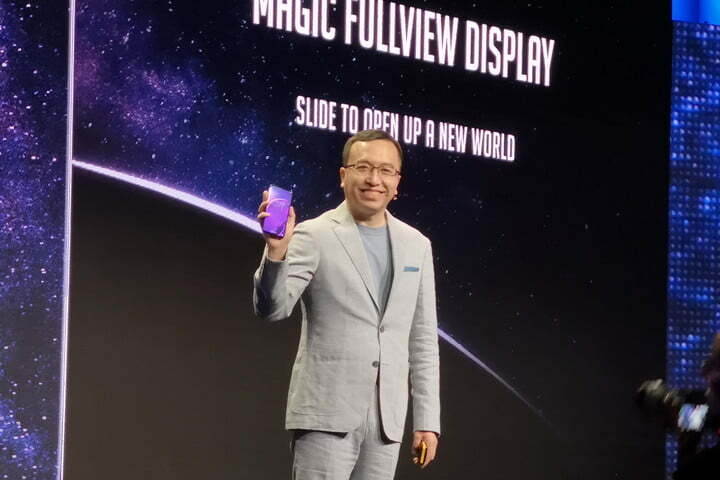 However, the space-age all-screen design with a pop-up camera means it closely resembles the Oppo Find X. It’s not clear which company got to this design first, although Oppo is seemingly first to get its version on sale. Like the Find X, the Honor Magic 2 will also have at least a front-facing camera that pops up from the frame when required. In a brief onstage demonstration, the camera module appeared to be motorized. Despite seeing the phone in the hand of George Zhao, president of Honor, at IFA 2018, there’s still a lot we don’t know about the Honor Magic 2’s design. We don’t know how large the display is — though it was clearly a large phone — and we don’t know what sort of material the phone is made from. We don’t even know how many lenses the phone has on the back, or whether those lenses are built into the pop-up section that houses the front-facing camera. It seems likely that they will be, but at this point nothing has been confirmed. We don’t know much about the Honor Magic 2’s specs, but the fanfare suggests it’ll be a powerful flagship phone. The one thing that we do know is that the Honor Magic 2 will come with Huawei’s new Kirin 980 chip. It has not been officially announced by Huawei at the time of writing, but is likely to be the successor to the exceptionally powerful A.I.-driven Kirin 970 that powers phones like the Honor Play, the Huawei P20 Pro, and the Honor View 10. 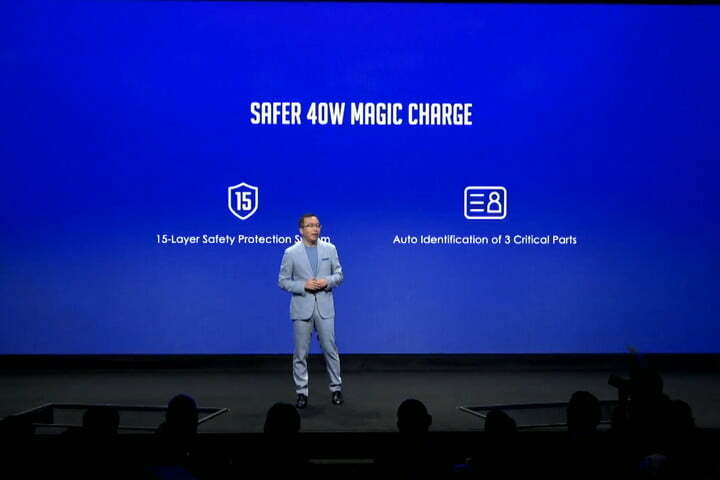 The Honor Magic 2 will come with a new 40W Magic Charge power system. The original Honor Magic came with Magic Power — a charging system that used new materials to charge a battery incredibly fast. Honor claimed the Honor Magic could charge up to 70 percent of its battery in 20 minutes. If Honor has found a way to speed that up, then the Honor Magic 2 could be a very special beast indeed. While Android is a safe bet, the rest of the Honor Magic 2’s software is less clear cut. Artificial intelligence will be a large feature, just like the first Magic phone. It wowed us at CES 2017 with its amazing range of A.I. powered skills, including smart facial recognition and recommendations based on your usage. Honor usually uses Huawei’s EMUI user interface on its phones, but because the Magic 2 is destined only for China, and is likely going to have a lot of AI features baked in, it may run a unique version made especially for the phone. But it seems that there may be more to the Magic 2’s A.I. than we’ve seen so far. At the end of the Magic 2’s video presentation, a voice was heard saying “hello Yoyo”. The Magic 2 seemingly replied “I’m here, what’s up?” in a conversational and startlingly lifelike voice. 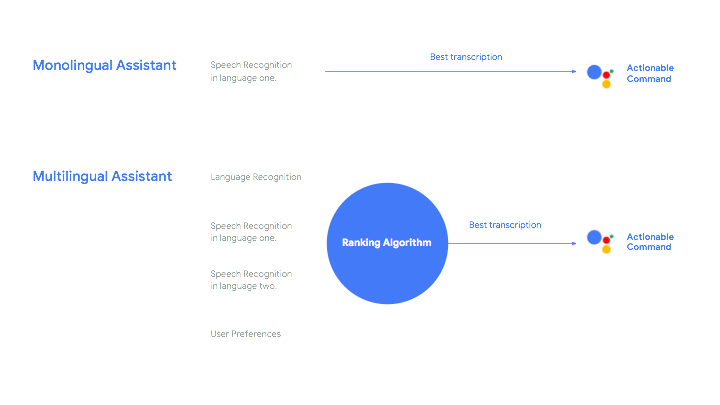 While it’s likely the interaction wasn’t entirely truthful to the phone’s capabilities, it does imply that Honor is seeking to push the boundaries of A.I., and introduce a more conversational A.I. of its own. We’ll keep you updated on the Honor Magic 2. Epic Games has been doing some weird things in Fortnite as of late, from launching rockets into space to opening up interdimensional rifts. Its latest addition is a large purple cube, and it’s messing with the game’s battle royale map in some bizarre ways. About a week ago, players noticed lightning strike while playing in Fortnite: Battle Royale, and after it dissipated, an enormous cube had been placed on the map and the cracks in the sky above had been removed. The cube initially perplexed players with its status effects, which could kill players who shot it or give them additional shields. They then noticed that an area around the dome appeared to alter gravity, making it lighter and potentially making it an advantageous area to defend during a match. Naturally, that wasn’t the last we’d hear of the cube. It is now leaving behind creepy runes burned into the ground and it’s moving from location to location. It’s unclear exactly what the runes mean, but the cube has been moving about once an hour, and some keen-eyed players believe it will eventually destroy the Tilted Towers area of the map. This stems from the runes it’s leaving behind, which, when organized, appear to show the outline of the buildings in that region. This would hardly be the first time an area in Fortnite has been radically changed by a phenomenon like this. Earlier this year, a meteor crashed and destroyed the Dusty Depot area, transforming it into Dusty Divot, which still exists today. This is certainly one way to keep the battle royale map feeling fresh, though we wouldn’t be opposed to Epic rolling out an entirely new map to go alongside it, as well. Fortnite recently came to Android devices, and an exclusive skin available on the Samsung Galaxy Note 9 and Tab S4 has even led some players to go to retail stores in the hopes of using demo phones for the purpose of unlocking it. We wouldn’t suggest annoying employees with this request, though we do understand the impulse. In addition to Android, Fortnite is also available on iOS, PC, Mac, Xbox One, PlayStation 4, and Nintendo Switch. Here’s the frustrating thing about Sennheiser. The company makes consistently terrific (and terrific-looking) products that cost a little more than you want to spend. At least that’s the case with the new Sennheiser Momentum True Wireless earbuds. They are handsome, and they cost $300. The Momentum True Wireless earbuds promise premium sound in a package the size of a large nut. The buds themselves come packed with AAC codec support as well as Qualcomm aptX and aptX Low Latency support. According to Qualcomm, devices with aptX support can deliver higher definition audio streams, while aptX Low Latency makes audio sync better with video which is especially helpful for gaming. (The latter is also a rarity, as only one other set of truly wireless earbuds support aptX Low Latency.) Like many other wireless headphones, the Momentum True Wireless offer one-touch access to Siri and Google Assistant. Sennheiser also says they’ll get four hours of battery life that can be topped up in the included charging case. What should really set the Momentum True Wireless apart, however, is sound quality. At least, that’s what set the original Momentum Wireless headphones apart in our testing. Sennheiser has long enjoyed a reputation for great audio fidelity, and it seemed surprising a few years ago when it managed to make the jump to wireless headphones without compromising sound quality. While initial impressions of the Momentum True Wireless from folks at IFA in Berlin are very positive, we’re looking forward to doing a full review. But once again, these things are not cheap. 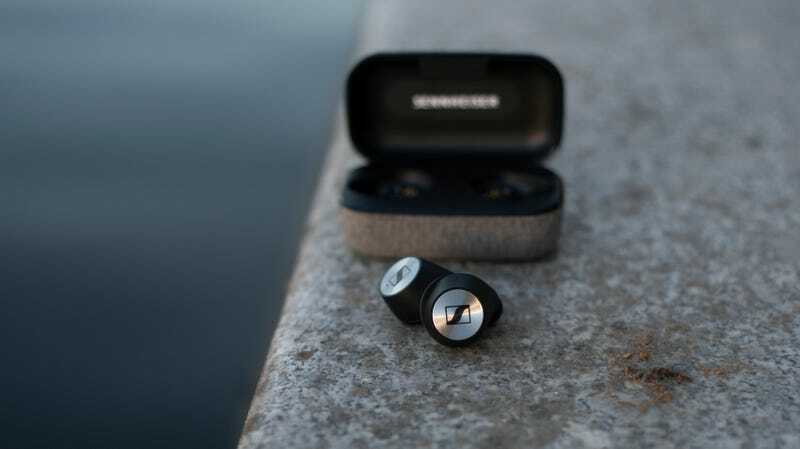 Sennheiser says the Momentum True Wireless earbuds will ship in November. They will cost $300, which is almost double what you’d pay for a set of Apple EarPods. Let’s hope they’re worth it. 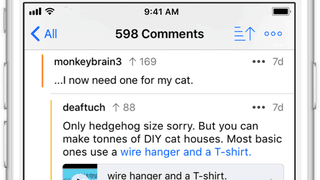 The app covers a lot of the areas that are most useful when exploring and interacting with Reddit—and I love the Jump Bar, an auto-completing command center for switching between subreddits. Apollo’s gestures can even be customized if you upgrade to Pro, along with a host of other features. The upgrade is tip-based, so you can pay what you feel the added features are worth (one-time, no subscription). As for the features you’re paying for, they include the ability to post, multiple accounts, and a myriad of customization options. 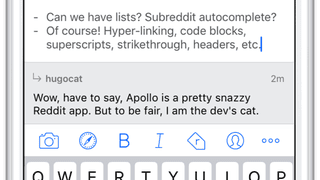 In other words, if you’re not a Reddit lurker, you might want to pay a little to unlock Apollo’s full capabilities. The app’s inline media viewer is sophisticated enough and one of the best I’ve used. 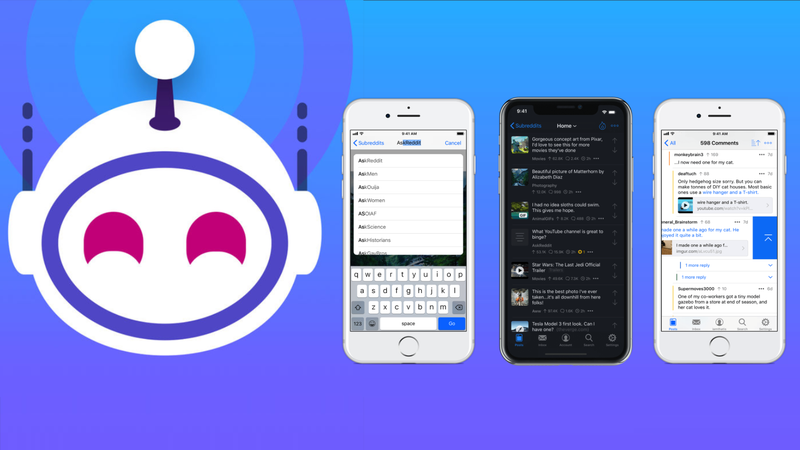 From videos to GIFs (with time-scrubbing), it makes using the media-laden areas of Reddit a pleasure—even if using Reddit, itself, doesn’t always feel like a great use of one’s time.